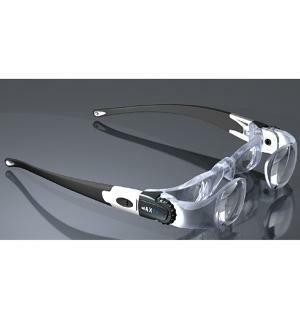 These hands-free, head-mounted glasses provide 2.1x magnification AND can be adjusted so that each eye lens can be focused separately [±3 diopters], making the system adaptable to most people! 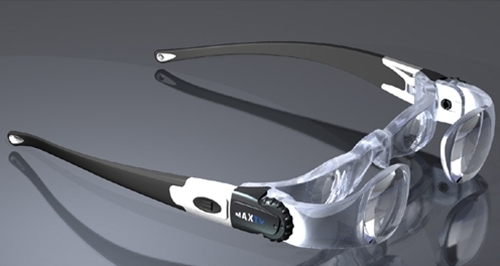 With flexible temples, the 1624-11 MAXTV telescopic glasses are the most comfortable television viewing device ever. Don't rush out and spend thousands on a large screen TV - try the MAXTV first! Eschenbach PXMÃ‚Â® optics and flexible plastic temples allow for light weight (only 49 grams - or 1.7 ounces!) with an extremely comfortable fit!